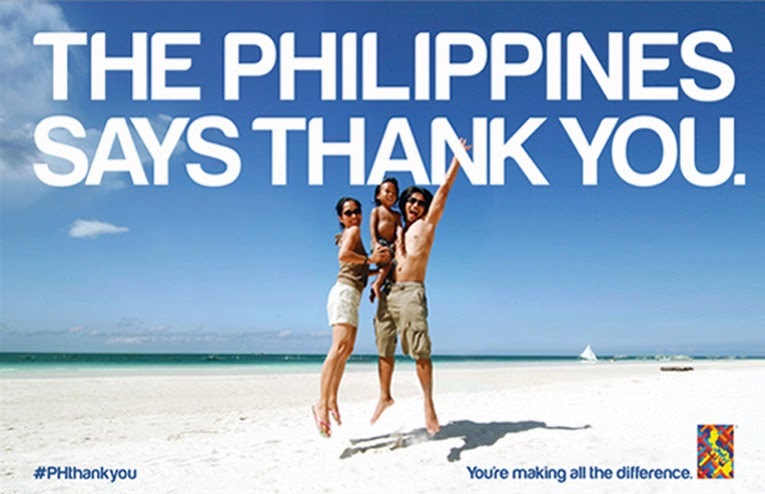 The Philippines Department of Tourism has launched a global campaign saying "thank you" to the world for their global support following the devastating effects of Typhoon Yolanda. The start of the campaign marks the three month anniversary of when the super typhoon hit and devastated several islands in the central regions, killing more than 6,000 people. 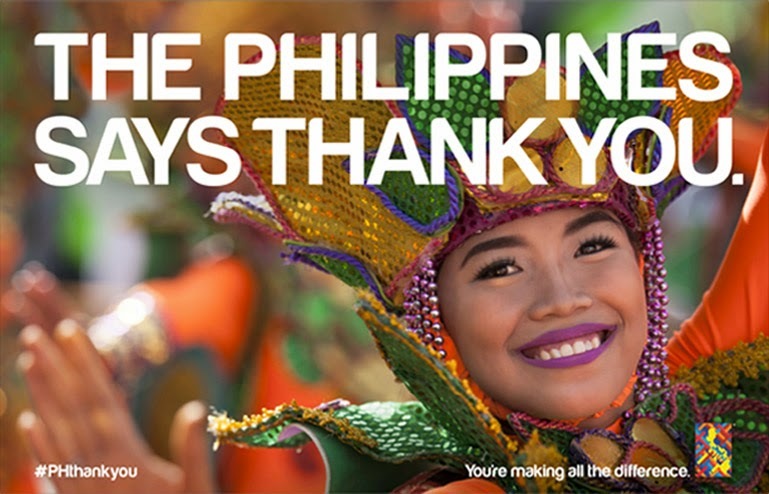 Triggered by an overwhelming sense of appreciation, which has been strongly expressed in social media – for example, #PHthankyou, this groundswell of gratitude is captured in a Thank You campaign created by Filipinos from all over the world. Depicting different ways of expressing their heartfelt appreciation, various messages and images in social media showed the world that foreign support and encouragement has made, and continues to make, all the difference in the country’s ongoing rehabilitation and rebuilding efforts. All the people across the globe who have expressed sympathies and who have extended support, financial or otherwise, are invited to witness this message of appreciation from the Philippines and help share the country’s profound gratitude to the rest of the world. Using the hashtag #PHthankyou, people around the world can continue to share their support and appreciation.